We are a leading Manufacturer of briquetting presses system, biomass briquetting machinery, sugarcane bagasse briquetting machine and agro briquetting plant system from Rajkot, India. We have emerged as the leading manufacturer, exporter and supplier of a wide range of Briquetting Presses System.The offered range is designed by our adroit team of professionals using premium quality raw material in conformity with international quality standards. The offered range is available in various specifications to meet the varied requirements of our clients. 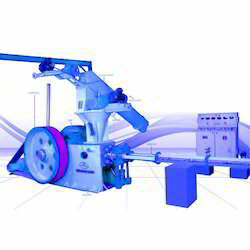 Further, this Briquetting Presses System is highly appreciated by our clients for its features like high performance, reliability, precise design, compatibility and longer service life. We offer our product at rock-bottom prices. By keeping track with the market development, we are offering optimum quality Biomass Briquetting Machinery to our clients. Widely demanded for its features like Low maintenances, Low power consumption, Compact & rigid Construction of machines. Our provided briquetting machinery is manufactured using quality assured components and progressive technology by our skilled professionals. Highly acclaimed in the market, our offered briquetting machinery is rigorously checked by our quality experts in order to ensure its optimum quality and flawlessness. 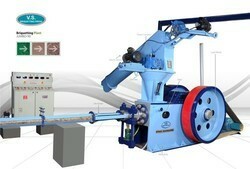 Further, offered briquetting machinery is available in the market at the industry leading prices. Capacity (Depends on the Raw Material) 1000-1500Kgs./ HR. To serve the requisite demands of our esteemed clients, we are engaged in manufacturing, exporting and supplying a qualitative range of Agro Briquetting Plant System. Procured from authentic vendors of the market, our provided briquetting plant system is precisely designed in sync with the latest trends prevailing in the industry. 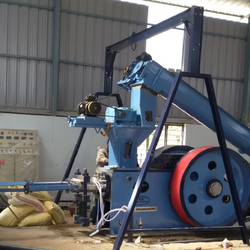 In addition to this, our esteemed clients can avail this briquetting plant system from us in diverse specifications as per their specific application.